Certification review panels are scheduled at least three to four times a year, starting with the panel held before the annual Plenary. Customarily, the committee holds panels just before the NCTS-East (Spring and Fall) and NCTS-West events. Did you know that you can petition the committee to schedule a review panel in your area? The steps to having a review panel in your area are simple and we're going to share with you how to get one set up. Ideally, six months before the desired review panel date, identify a minimum of eight members who are candidates for certification in your area or in the surrounding areas. It would be helpful to find out who in your area would be available to serve on a review panel, and wouldn't have a conflict of interests with the candidates. You'll find that chapter conveners, training supervisors, supervisors-in-training and your representative from the Chapter of Chapters would be your best resources for gathering names of qualified panelists. Your next step would be to pick a date - keep in mind not to schedule an event near a holiday or other religious observances. Weekend dates are usually best for travel; stay clear from any dates which would conflict with other CPSP announced events. Gather some information on a possible location that includes at least two meeting rooms that can be held for a minimum of six to eight hours. The best place for holding a review is one that is a business location with meeting spaces or institutions such as: schools, hospitals, hotels, and retreat centers. Libraries and churches are also good places to look for a cost-effective or free meeting space — we have more information for how to choose a good location and you can check with us for it. Any contracts for a location should first be sent to Krista for review. Only Krista is authorized to enter into contract with the leasing agent. Once you've identified candidates, a possible date and location, please contact Krista, she'll work with you and the Certification Committee to review the plans and finalize logistics so that registration may be open on the website. The Certification Committee has three review panels coming up before the 2019 Plenary -- Danville, CA; Morristown, NJ; and San Antonio, TX. We look forward to setting up more in 2019! Blessing -- by Rev. William E. Alberts, Ph.D.
On August 16, the Boston Medical Center nurses on the Newton Pavilion celebrated their long, rich history as they prepare for the closing of the Pavilion in October, when they will move to the expanded Menino Pavilion next door. The Newton Pavilion was the former University Hospital, and in 1996 merged with the Boston City Hospital to become Boston Medical Center, comprised of the Newton and Menino campuses. 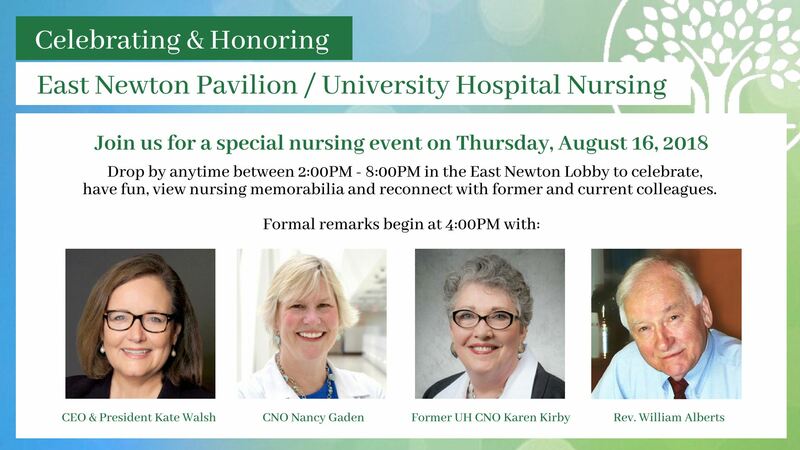 The Newton Pavilion has been home for many years for hundreds of nurses. Thus the August 16 event marking the closing of their workplace was a sad as well as a celebratory occasion. The speakers included Kate Walsh, President & CEO of Boston Medical Center, Nancy Gaden, Chief Nursing Officer and Karen Kirby, former Chief Nursing Officer of University Hospital. Having been hospital chaplain at University Hospital and then the Newton Pavilion from 1992 to 2011, I was invited to give the Blessing at the event, called “Celebrating Nursing at Boston Medical Center: Past, Present and Future.” Following is the Blessing I presented. I’m honored to be giving today’s blessing for you, the nurses of Boston Medical Center’s Newton Pavilion. Actually, I have been blessed to have been hospital chaplain at University Hospital and then at BMC’s Newton Pavilion for over 18 years, from 1992 to 2011 – and another five years of per diem work. And it is your blessings that greatly assisted my chaplaincy work with patients over the years – as you have also blessed and enabled the chaplaincies of Drs. Sam Lowe and Jennie Gould, Sr. Mary Ann Ruzzo, Fr. Roger Bourgea, Fr. Ray Bonoit, Sr. Claire Hayes, Rabbi Paul Levinson, Imam Salih Yucel, Rev. Les Potter, and others, and their devoted pastoral care volunteers. There are also the countless blessings you have provided for patients and their families from all walks of life. Based on my work with you, I want to recall just a few of the blessings you nurses have bestowed on patients and their loved ones. On one occasion, a daughter, who was diabetic, came to visit her mother in the old MICU on 6N. Unable to eat anything before she arrived at the hospital and feeling somewhat ill, the daughter asked me if there were a place on the Unit where she could make toast for herself. I said I’d go ask her mother’s nurse. Without a moment’s hesitation, the nurse replied, “I’ll make it for her. What does she want on it?” That’s exceptional care without exception. After MICU on 6N moved to 8 North, I visited a 42-year-old man there who was withdrawing from alcohol and preoccupied with finding his laptop computer. He would sit up, pull on the restraint that was keeping him from falling out of bed, point across the room as if his computer might be there. In the midst of this preoccupation, he said he did not know where he was. I responded that he was at Boston Medical Center. His pre-occupation and confusion led me to tell him that I would share his concern with his nurse. The nurse then said, with a smile, “Could you say a prayer for me? I need it.” I smiled in return and replied, “Sure. May you have a good day. And may all that is loving bless you very much.” “Thank you. I needed that,” she said smiling. She then said, “When the patient’s mother and father come to see him, I will ask them about the computer.” It was great to see that nurse again today. More blessings. I visited a dying mother in SICU and her family of two daughters and two sons, all four adults. I was with them for an extended period of time, together with their nurse. The one daughter thanked the nurse and me for “hanging in there” with them. You could tell how closely the family had bonded with the nurse by the way the daughter said her name, “Carline.” You could also tell by the way Carline responded. As we sat around this dying mother’s bedside, her daughters and sons began to reminisce about her being a school teacher, and, at different ages, she was each one’s classroom teacher when they were children. They mused about having their mother as their school teacher: saying how difficult it was to feign sickness or play hooky. Who would write their excuse? Who would read it? Loving memories shared with a nurse who had become like family. A final blessing to recall. Do you remember Rose? A woman in her eighties. For Rose, the Newton Pavilion cafeteria was about family. Her mother died at Boston Medical Center many years earlier, which evidently led her to keep coming back to the place where she last saw her mother alive. Instead of the cemetery, she visited BMC’s familiar cafeteria, filled with the living. She adopted BMC staff as her family – whether we wanted to be adopted or not. Every day at lunchtime, Rose would sit at the same table in this cafeteria. She played the role of hostess: making the rounds and greeting various staff, straightening the chairs under the tables, refilling the napkin holders and plastic containers. Rose was very outgoing. And underneath was a sensitive and caring woman, looking for and finding a family – at noon each day, here, in this cafeteria, before going home to be alone. Rose’s need and Boston Medical Center’s inclusive mission are perceptively captured in a birthday card a wise nurse gave to her, which Rose proudly showed to others and to my wife, Eva, and me. The nurse wished Rose a happy birthday, wrote that she was a very special person, and ended her note with, “Thank you for taking care of us.” What a blessing for Rose. The Newton Pavilion has been a second home, an extended family. You nurses have made it so for each other and for many others of us staff and patients. So there is sadness here as we face the closing of the Newton Pavilion. Sadness born of years of sharing with each other and caring for patients. Sadness also in recalling, with gratitude and love, the nurses, no longer living, with whom you shared your work and your lives. As the closing of the Newton Pavilion nears, its halls, once busy with routine, will become hallowed – filled with your precious memories. And, across the street, there are other halls and rooms filled with patients who will need your nursing expertise and caring. Halls that will also become hallowed by your presence, skills and empathy. Halls and rooms with all kinds of patients, which reveal that the hospital is a crossroads of humanity, a global neighborhood – populated by patients -- and staff -- of various beliefs, nationalities, races and sexual orientations. In the hospital, there is the diversity of divinity, and the divinity of diversity, and the commonality of humanity. And you nurses are the ambassadors of exceptional caregiving without exception. You have provided untold blessings. May all that is loving bless all of you very much. 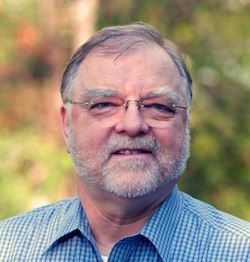 Dr. William Alberts is an emeritus member of the Concord Chapter of the College of Pastoral Supervision and Psychotherapy. He is author of A Hospital Chaplain at the Crossroads of Humanity, which “demonstrates what top-notch pastoral care looks like, feels like, maybe even smells like,” states the review in the Journal of Pastoral Care & Counseling. The book is available on Amazon.com. He also is a regular contributor to Counterpunch. His e-mail address is wm.alberts@gmail.com. No one who is seeking to become a board certified clinical chaplain (BCCC) should meet a certification panel and leave disappointed. This is my firm conviction and has been the commitment of the Nautilus Pacific Chapter since it was founded. We have always held that there is simply no good reason for a candidate to meet the panel and walk away unsuccessful. In recent years I have had the sad experience of sitting on panels and having to tell some candidates that they had not met the Standards for certification and would not be certified. I don’t think it’s a message anyone likes to deliver and it’s one I believe no one should have to hear. The primary reason someone gets turned back is that they didn’t fulfill the clearly articulated expectations set out in the CPSP Standards. Too often, mistakenly, individuals and their chapters will decide for any number of reasons that “it’s time” without considering what makes it time – when a candidate is truly ready – to meet a certification panel. In other words, the vast majority of those who fail at certification do so because they simply weren’t ready and didn’t know what “ready” means. Certification is never based upon whether you have been in a chapter “long enough” or are liked by your chapter members or you are an active participant in chapter activities. These are important aspects of our professional life together but they are not what demonstrate competence as a clinical chaplain or pastoral counselor. Similarly, having worked in a position with the title chaplain for an extended period isn’t sufficient. The word “chaplain” can be applied to anyone who does ministry outside the congregational setting. In fact, most people who bear the title – college chaplains, police and fire chaplains, many prison chaplains, and others – are not and could not become board certified. Even in healthcare many are not board certified. And even having completed four units of CPE is not in itself sufficient to merit board certification. What does it take to be certified? 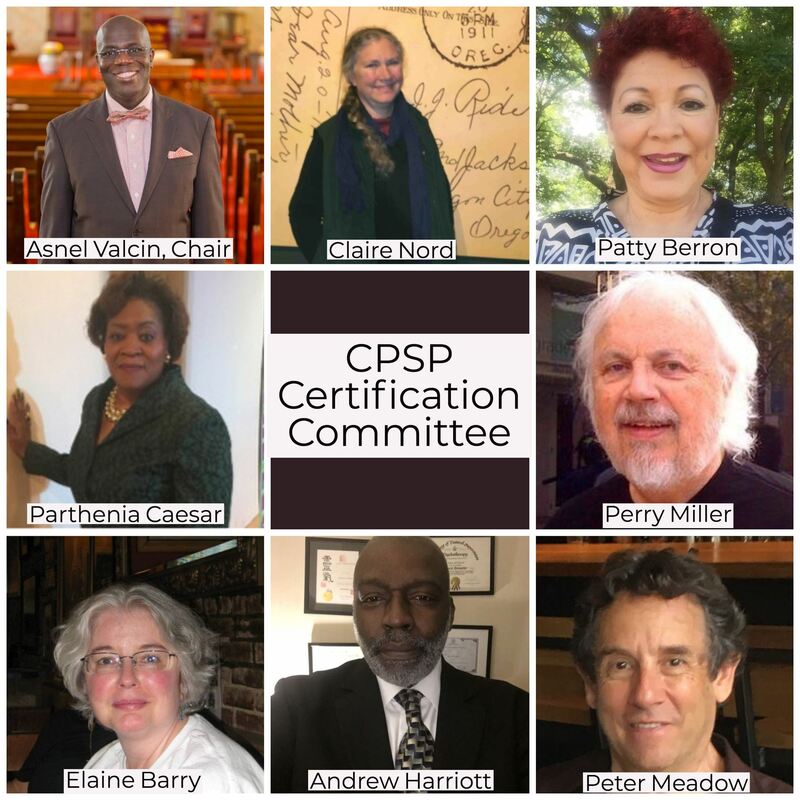 The CPSP Standards spell out the necessary competencies (Section 730) for certification as well as what is expected – the 13 objectives – to be achieved as a result of CPE training (Section 230). If someone fails, this typically means that they likely haven’t had an informed, capable mentor to work with them though the certification process. It certainly means their chapter hasn’t considered the set expectations that apply to all of us. In a really rigorous CPE program there will be those who are nearly ready by the end of four units, but this is the exception, not the rule. The healthy chapter is a place of peer support as well as peer review and input. While a lot can be accomplished in 1600 or more hours of clinical training, most often the finishing work of preparation – as in any guild – will be the responsibility of that of the chapter’s more competent, experienced, certified chaplains. When a candidate meets the certification panel, those on it will have reviewed at least three major documents: the candidate’s autobiography, their theory paper and two case studies. Reading closely these documents alone and without ever having met the chaplain, an astute reviewer is usually able to make a good assessment of the competence and readiness of the candidate. If each of the documents seems congruent with the others it is most likely the candidate will be certified. One’s theory of pastoral care should make sense given key aspects of the person’s life story, and one’s theory and life story should inform and be visible, if sometimes obscurely, in the cases. It is this integration, along with evidence of the basic competencies set out in the Standards, that assures certification. Certification should never be a crapshoot. I don’t think it should even be a gamble. With the right preparation and responsible chapter involvement in the process meeting the certification panel should be a pleasurable and affirming experience. What is key is that chapters take responsibility for mentoring certification seekers so they’re prepared, paying close attention to meeting the Standards, and helping the seeking member thoughtfully to prepare and assemble the required documents. David Roth is the director of spiritual care and clinical supervisor for chaplaincy training at Kaiser Permanente in the Napa/Solano Area and a member of CPSP’s Nautilus Pacific Chapter. Visit his website at ClinicalPastoralTraining.org or email him at drdavidroth@gmail.com. Download: "A Concept and Function of a Mentor in the CPSP" by The Rev. Dr. William Scar, CPSP Diplomate, Pastoral Report, 31 July 2008. We tend to look back as we move forward, examining those encounters that may apply to the present. An exact application is elusive. Today’s challenges differ from yesterday’s as much as my own pale against those of working chaplains. Retired folk mostly set our own pace. Except when another person sets an appointment. A stress test (canceled because we ate chocolate). Cataract surgery. Time for a hearing check, a dentist visit. In other words, the need to maintain and repair. Yet, what do we really know about coping? We may examine the actions of those we have visited who have coped with problems much larger than ours. Sitting beside a younger man suffering from end-stage liver disease. He was the most “up” person I have ever met. He spoke of his family, especially his kids of whom he was proud. Accompanying a mentor to a locked ward to visit a young woman who listened to a long story, accepted quietly, as a respite from her confusion. My scheduled visits fade to black as these actions compel imitation. Dom is a retired Clinical Chaplain who lives in Littleton, Colorado. He can be reached at dominic.fuccillo@gmail.com. 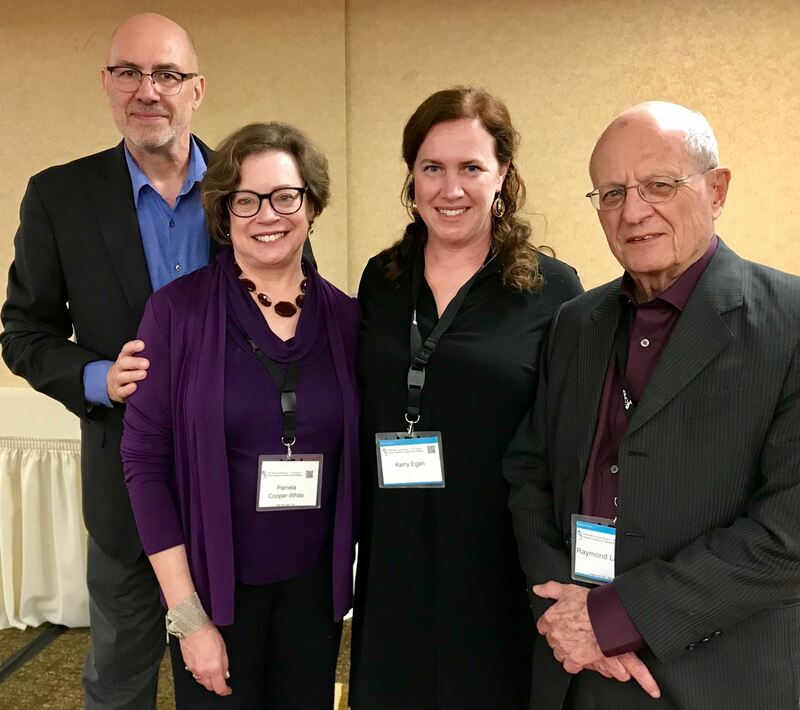 Left to Right: David Roth, Pamela Cooper-White, Kerry Egan, and Raymond Lawrence. You Can’t Pray Gibberish. You Can’t Write Gibberish Either. In many ways, The College of Pastoral Supervision and Psychotherapy has been viewed as a “back to Boisen” movement – and it is. This year’s plenary, however, helps to clarify the ways in which CPSP also should be viewed as a “back to Dunbar” movement – for she wrote on many currently important themes between 1923 and 1959 – that is, some six to nine decades ago. Think about that for a moment. our brother’s and sister’s keeper. Years ago, mentors taught me that writing – like speaking – works best when one tries to answer a clearly formulated question. 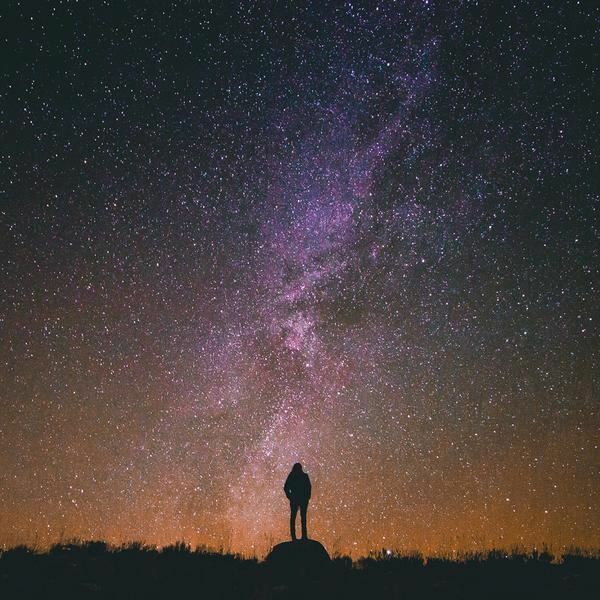 That is part of our topic today – how important it has been – and will be – for this field, that individuals wander through knowledge and understanding to wisdom – and that they communicate with their colleagues along the way. Speaking and writing are essential for clarifying your thoughts. Dunbar herself almost single-handedly reinvigorated a mostly lost font – and fountain – of wisdom – the “insight symbol” – as understood by the late medieval world’s deepest thinkers. In her first book – in a thinly veiled description of herself – Dunbar noted that “Had a medieval thinker of the first rank been equipped with modern psychological background and technique, he [or she] would no doubt have maintained that the deepest meaning behind each of the interpretations given was the attempt to make that adjustment to the Infinite which Dante represents fully accomplished in the last four lines of the Paradiso”. The individual’s relationship to his or her internal and external environments was a concern of the organismic approach to medicine; the individual's adjustment to his or her spiritual environment, the Infinite, was the same process on a different level. In either case, Dunbar considered an adequate handling of symbolism as “fundamental” to the “integration of the individual within … [him- or herself] and in his [or her] environment”. as those dying try to rediscover the meaning of their living. Hmm. That also sounds a little bit like the psychodynamic “free floating attention,” doesn’t it? It is an attitude – without presumptions – that is open to whatever meaning – or meanings – arise – in the supposed healer – in the supposed healee – and in the space between them. somehow the patient will find the courage …. Thank G-d, the awardee assures us, the supposed healer and the supposed healee always find their way out of the depths. Yes, these are the awardee’s own formulations – but I believe that echoes of Boisen’s and Dunbar’s writings can be heard. There are layers upon layers in a life – and this is even more so true within a healing relationship – as the layers upon layers of healer and healee interact. Chaplain Kerry Egan and Doctor Pamela Cooper-White. I hope that all three authors – Dunbar, Cooper-White, and Egan – will have inspired you to write your own essays, your own articles, and your own books. 3. Powell RC. “Helen Flanders Dunbar (1902-1959) and a Holistic Approach to Psychosomatic Problems. I. The Rise and Fall of a Medical Philosophy,” Psychiatric Quarterly 49: 133 -152, 1977. abstract on the internet at www.pubmed.gov ; a revised edition will be published soon. 4. Powell RC. “ ‘Amid the Complex Entanglements of Actual Life’: How Are Clinical Pastoral Chaplains to Gain Perspective?” 2015; on the internet at http://www.cpspdirectory.org/pastoralreportarticles/3779026 . Powell RC. “From Emotions and Bodily Changes … – in the Personal Body – to Bodily Changes and Emotions – in the Social Body: The Organism in Its Environments: Both Inner and Outer.” 2016; on the internet at http://www.cpsp.org/pastoralreportarticles/3929569 . 6. Powell RC. “Religion in Crisis and Custom: Formation and Transformation – Discovery and Recovery – of Spirit and Soul.” 2005; on the internet at http://www.cpspdirectory.org/pastoralreportarticles/3778881 ; translated  by Chaplains Rafael Hiraldo Román & Jesús Rodríguez Sánchez, with the assistance of Chaplain R. Esteban Montilla, as “Religión en Crisis y en Costumbre: Formación y Transformación - Descubrimiento y Recuperación - de Espíritu y Alma”; on the internet at http://www.metro.inter.edu/facultad/esthumanisticos/coleccion_anton_boisen/case_study/Religion%20en%20Crisis%20y%20en%20Costumbre.pdf ; a revised edition will be published soon. 7. Powell RC. “Emotions, Bodily Changes, and Symbolism: The Early Writings, 1924-1936 of Helen Flanders Dunbar, BD, PhD, MD.” 1969; The Josiah C. Trent Prize Essay in the History of Medicine, 1970. 10. Boisen AT. ““Cooperative Inquiry in Religion,” Relig. Ed. 40:290-297, 1945. Dunbar F. Psychosomatic Diagnosis. New York, Hoeber, 1943 [the whole book]. 11. Powell RC. “Helen Flanders Dunbar (1902-1959) and a Holistic Approach to Psychosomatic Problems. II. The Role of Dunbar's Nonmedical Background,” Psychiatric Quarterly 50:144-157, 1978; abstract on the internet at www.pubmed.gov ; a revised edition will be published soon. Powell RC. “Emotionally, Soulfully, Spiritually ‘Free to Think and Act’.” The Helen Flanders Dunbar Memorial Lecture on Psychosomatic Medicine and Pastoral Care, delivered November 1999, at the Columbia Presbyterian Center of the New York Presbyterian Hospital, New York, New York. Journal of Religion & Health 40(1): 97-114, 2001. on the internet at http://www.cpspdirectory.org/pastoralreportarticles/3778841 ; added, January 2016, to EthxWeb: Literature in Bioethics, a digital collection maintained by Georgetown University, Washington, DC: https://repository.library.georgetown.edu/handle/10822/944171 . revised edition to be published soon. upon which she was to place her attention. 16. Dunbar F. Your Child’s Mind and Body: A Practical Guide for Parents. New York: Random House, 1949. Dunbar F. Your Pre-Teenager's Mind and Body. [edited by Benjamin Linder]. New York: Hawthorn Books, 1962. Dunbar F. Your Teenager’s Mind and Body. [edited by Benjamin Linder]. New York, Hawthorn Books, 1962. 19. Cooper-White P. Shared Wisdom: Use of the Self in Pastoral Care and Counseling. Minneapolis: Augsburg Fortress Publishing, 2004: p.vii. We had word this morning of the death of J. Harold (‘Hal’) Ellens yesterday at age 85. He had been suffering from congestive heart failure for some time but had remained active to the very end. Hal was the 2014 Helen Flanders Dunbar awardee, after which he requested to be certified as a CPSP Diplomate. He was a prolific writer and a supporter of many other writers. He had deep connections in the publishing world, especially at Praeger Press. Hal was also a large influence in the religious community, particularly Biblical studies, psychology, and the clinical pastoral field. Hal had some 180 books published under his name as author or co-author. 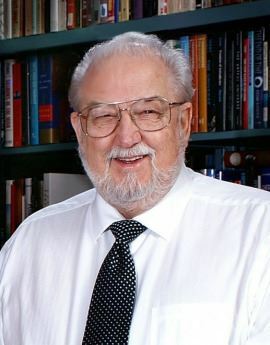 He was a key leader in the Society for Biblical Literature, nationally and internationally. On a personal note, I heard from Hal last month. He reported that his heart was failing him more rapidly than he anticipated. He wrote in reference to his ongoing help for me with publishing. 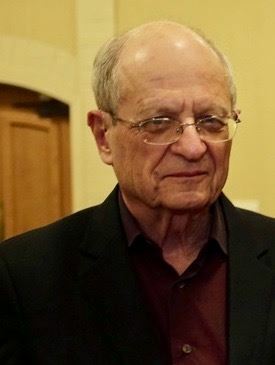 I was last with Hal at the Society for Biblical Literature meeting in Vienna in 2014, which he attended with his vivacious teen-age granddaughters and adopted son. Astonishingly, he was popping nitroglycerin pills at that time to keep his heart functioning and keeping up his usual fast pace. I had been introduced to Hal by Donald Capps some twenty years ago, who thought he could help me get published, as indeed he did. Hal will be greatly missed by me personally, both as a dear friend and as a theological ally. Our community has lost a strong advocate for the values to which we are committed. I propose three axes of chaplaincy and pastoral work, but there is no absolute or fixed boundary between the three. Each axis defines a general emphasis rather than a clear distinction or separation. A wide variety of institutions, organizations, and social clubs appoint or elect “a chaplain,” sometimes for cursory or ad hoc functioning and sometimes for long term and more significant functioning. Here the chaplain’s role represents a kind of liturgist. The death of a president or a natural catastrophe typically becomes the occasion for public memorials of some kind, and typically a religious or quasi-religious leader is summoned to preside over such grieving. The Axis 1 role is generally symbolic and dramatic rather than interpersonal. For an example of this from my own experience, when the World Trade Center was attacked, I was called on as director of chaplains at Columbia-Presbyterian Hospital, in New York, to preside over a memorial service for the entire medical community. It was the first and last time I was called upon to preside over a religious or quasi-religious gathering of the entire community, or at least the members of the community who elected to attend the memorialization of the World Trade Center attack. My burden as a chaplain at that moment was to represent the highest and broadest values of the culture in that context, and I certainly could not appear to represent any particular religion, ideological faction, or subgroup. Such is an Axis 1 role: to present as a religious functionary in the broadest, inclusive sense. Such inclusiveness must embrace even the non-religious, paradoxical as that may appear. Such a religious functionary provides the philosophical basis on which a variety of organizations and institutions, large and small, appoint chaplains. Such appointments are generally brief and quite limited in scope. For example, Congress has its own chaplain. Police departments typically have one or more chaplains. Social clubs often appoint or elect chaplains. Almost invariably, by necessity in such contexts, the role is detached from any particular religious tradition. The role is largely formal and temporary, certainly not extensive or with many defined tasks. Typically the duties consist of opening meetings with a prayer or some form of invocation. In some instances the role may extend to attending a crisis situation with the purpose of providing some kind of comfort, and in that limited context the role may border on the clinical. Seldom if ever is there any sort of training for such a role. In those contexts the chaplaincy role is mostly symbolic, formal, and often impersonal. The burden in functioning at that level is to represent consensual elements of religion or quasi-religion without giving the appearance of lobbying for or endorsing a specific religious tradition or ideology. Chaplains in Axis 1, and pastoral work insofar as it is conducted in contemporary public contexts, must be universalist and non-sectarian. 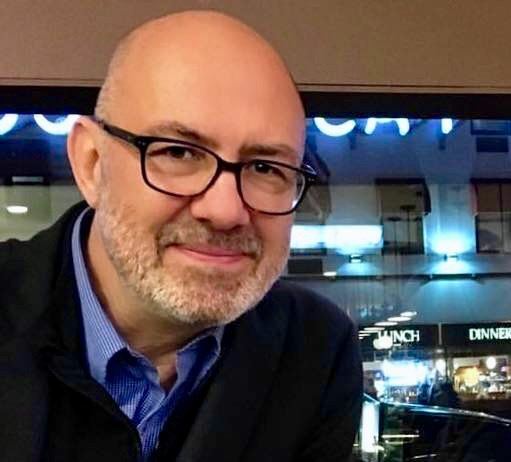 A second axis of chaplaincy or clinician pastoral work posits that the chaplain or pastor assumes a therapeutic role, sometimes in relation to a group but more often in a one-to-one context. 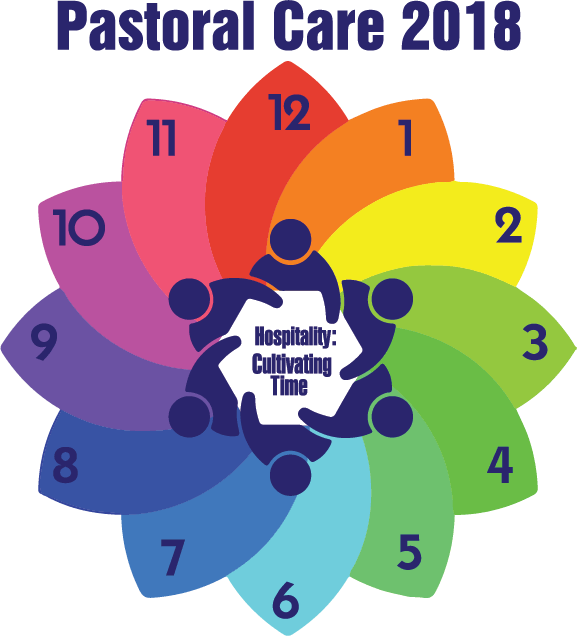 That role typically carries the additional label of “pastoral care” and/or more recently and with less clarity, “spiritual care.” The chaplain’s role should be a clinical one, that is attending to and focusing on the specific data at hand as distinct from any ideological concerns. The chaplain as clinician always begins and ends not from a position of ideology, religious or otherwise, but by responding specifically and dynamically to the presenting data. In this axis the chaplain or pastoral worker attends primarily to transferential data, that is data that gives evidence of unconscious as well as conscious material at play, in the patient, in the chaplain him/herself, and between the two of them. Transference, that is to say the insertion into relationships of unconscious material, can be observed both in the therapist-patient (or parishioner) relationship and in the clinical supervisor-trainee relationship. Both arenas invite, even command, reflection and exploration. Such clinical chaplaincy, and the clinical pastoral field generally, owns a large corpus of literature that typically includes a significant training regimen in the arena of attending to the unconscious life of persons and groups. The quality and intensity of training at that level will bear similarities to the clinical training for psychotherapy that psychologists and psychiatrists undergo. This approach to chaplaincy (this axis) follows the philosophy and practice of Anton T. Boisen, who inaugurated the clinical pastoral training movement early in the twentieth century. Boisen presented himself as a non-medical pastoral psychotherapist in the general tradition and practice of the psychoanalytic movement begun by Sigmund Freud. A third axis of chaplaincy is a condition wherein the chaplain or pastoral clinician blurs the boundary between Axes 1 and 2. This blurring stems in part from harboring the illusion that the clinical chaplain can perform both functions with the same patient or patients at the same time. But a clinician cannot take the role of religious authority, teacher, and dispenser of religious rituals such as prayer without abdicating the therapeutic posture. For example, at the patient’s bedside the chaplain may abandon the therapeutic role and assume the role of a religious authority, teacher of religion, or a dispenser of religious rituals, like prayer. But such action renders the chaplain clinically ineffective. It is probably not a stretch to say that most currently functioning chaplains and pastoral clinicians in the U.S. fall into this trap most of the time. The principal problem for the pastoral clinician is learning the demands of the agnostic posture requisite to competent pastoral counseling and psychotherapy. Most clergy strongly resist abandoning their roles as religious authorities. In congregational leadership such authority is useful to some extent. However, in the clinical setting such organizational religious authority is irrelevant and in fact corrupts the clinical pastoral role. This is abundantly clear in contemporary public institutions with their religiously diverse populations. But it is also true in institutions governed by particular religious organizations. The clinical chaplain cannot simultaneously promote any particular form of religion and at the same time remain clinical and therapeutic. In recent decades this issue has been blurred by a clever deception, that of presenting the pastoral clinician as an authority in the amorphous arena of spirituality that is alleged to incorporate all religions. In fact it embraces none. This ploy has been bankrupt from the start simply because “spirituality” as a category means most anything one wants it to mean, and therefore means actually nothing. Communication always breaks down when words lose their definition. Similarly prayer has been commodified in such a way as to give the appearance of being applicable to any god and any form of religion at any time. Most, but not all of this commodification has been promoted by non-theologians, a curious recent secular usurpation of theology by secular authorities. But if it matters not which of the many gods are being addressed, why pray at all? In practice, patients and clients will themselves tempt chaplains to confuse and violate the boundary between Axes 1 and 2. But it is the responsibility of the pastoral clinician to be alert to such temptation. The temptation is an intrinsic fruit of resistance to the therapeutic opportunity, and resistance is universal. How many are there among the patient population who would prefer to avoid dealing with their own personal reality? And how many chaplains prefer not to do the therapeutic work? It is quite easy to tempt the chaplain to recite a prayer and go away, not only entirely voiding the work of reflecting on inner turmoil and interpersonal discomfort but also avoiding the benefit of the chaplain’s potential therapeutic role. Chaplains insofar as they are clinicians must understand resistance and be attentive to it, an essential part of clinical practice. To grasp this temptation the chaplain must of course be disciplined in the art of declining the pedestal of religious authority, that most temptingly irresistible plum. Contemporary pastoral clinicians must decide whether they seek to function as administrators of whatever religion or cult pays their salary, including the newly created “spirituality cult,” or whether they are going to function as theologically informed and psychoanalytically informed therapists in the tradition of the clinical pastoral training movement.